Several dining halls will be available to all students. Your student can check out the transportation schedule for Thanksgiving Day meals and other dining options over break. Bursley: until December 21, closed December 22 until classes resume. East Quad: until December 19, closed December 20 until classes resume. Markley: until December 15, closed December 16 until classes resume. Mosher-Jordan: until December 21, closed December 22 until classes resume. North Quad: until December 19, closed December 20 until classes resume. South Quad: until December 21, closed December 22 until classes resume. Twigs: until December 19, closed December 20 until classes resume. Retail locations will all close by December 22. Prior to that date, please check each location's webpage for specific availability. Mosher-Jordan will reopen for breakfast, lunch and dinner beginning January 1. South Quad and Bursley will reopen for breakfast, lunch and dinner on January 2. All others: Reopen for dinner on January 2 with regular hours on January 3. Retail: Please check each location's webpage for specific availability. If on-campus dining options are not available, students can explore Ann Arbor restaurants. 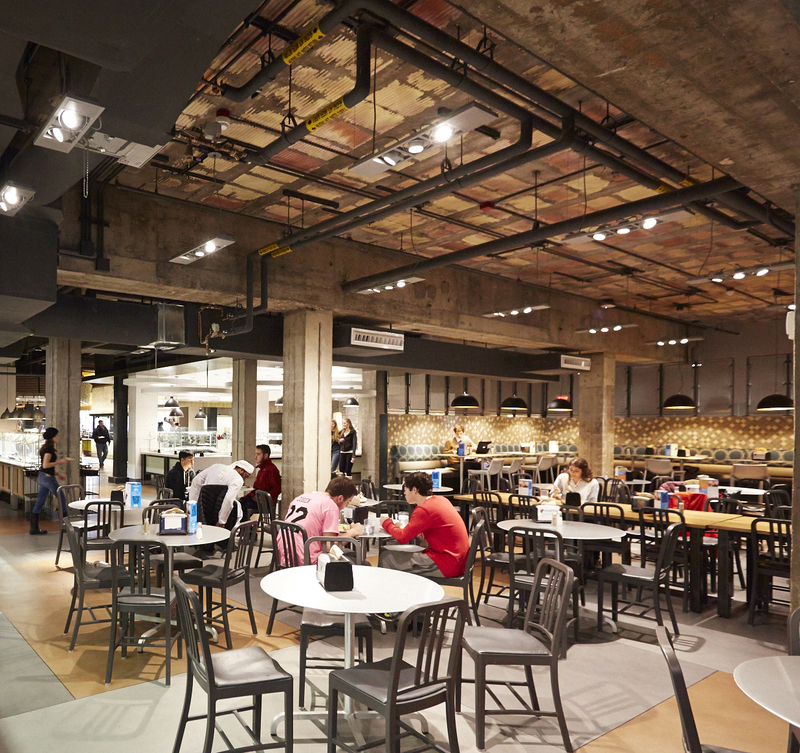 Close to campus, there are two main areas where students can enjoy delicious food. South University Avenue offers a wide range of food including burritos, sushi, bi bim bop, subs, pizza, and more. State Street has many quick and easy foods, all under $10, including Mediterranean, Mexican, Italian, and more. In addition, Ann Arbor is a great place for quiet, sit-down dining. Restaurants are plentiful on Main Street, Liberty Street, and in Kerrytown. There is sure to be something to fit your student's tastes and budget. Besides finding delicious meal options, students can stay occupied by exploring Ann Arbor. They can visit the Ann Arbor Convention and Visitors Bureau website for a listing of events. And if your student is looking for a place of worship in Ann Arbor, they can refer to this guide.